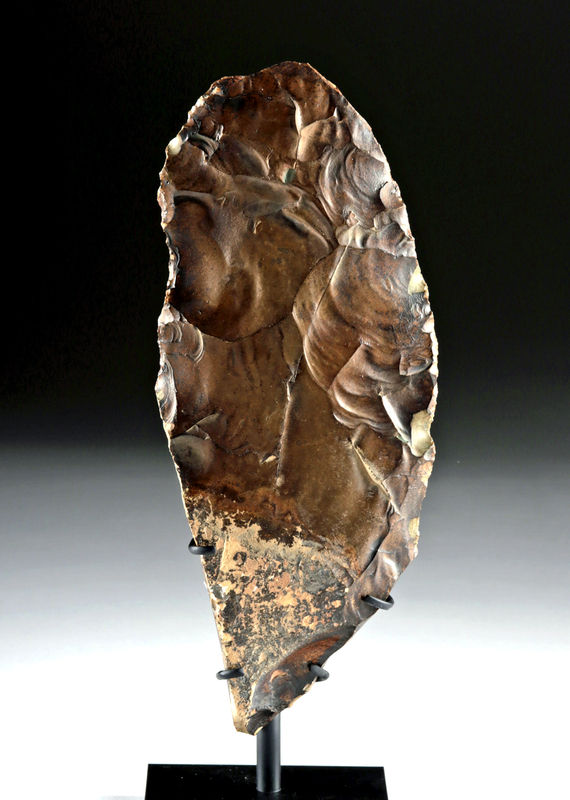 Ancient Africa, found on the Plateau of Thebes, Egypt, Middle Paleolithic Period, ca. 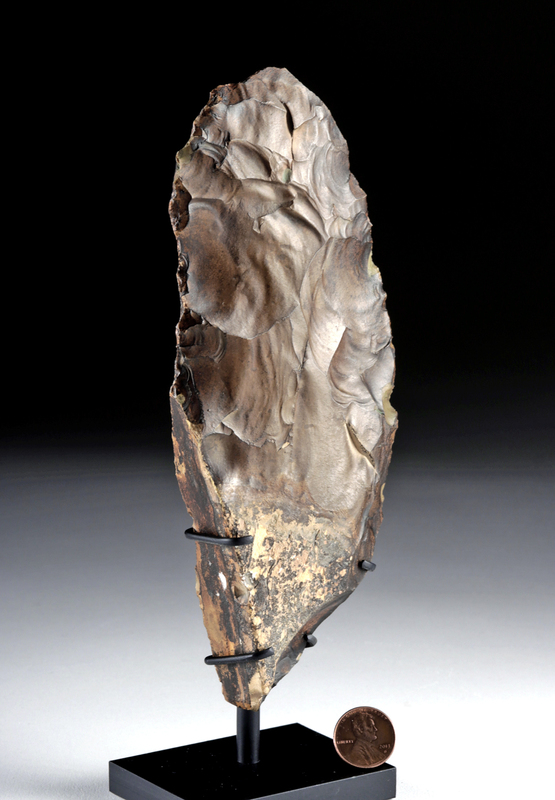 400,000 to 120,000 years ago. 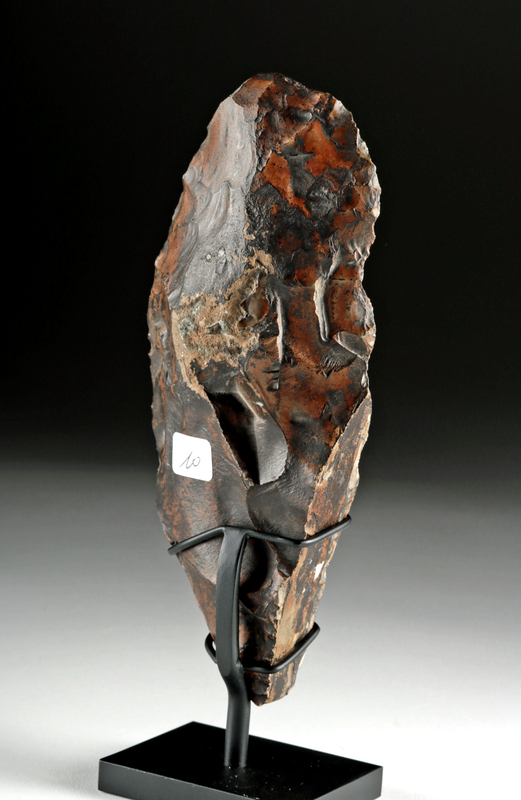 A handsome knapped black chert knife with bright red inclusions, with one edge curved for cutting. On the left back of the Nile there are terraces with flint deposits that seem to have been frequented by Middle Paleolithic humans, who dug pits into the rich deposits and knapped the flint into cores for easy transport before leaving the area. 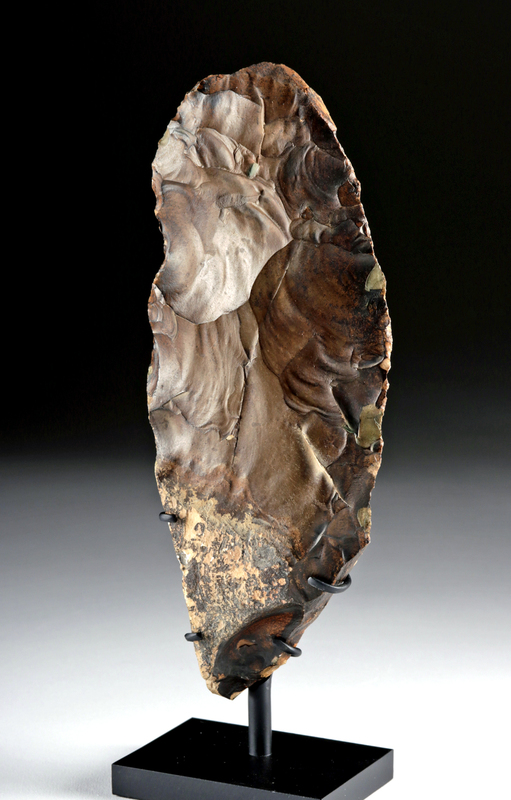 Knives like this one were then carved at their destination after the cores were traded. Size: 3" W x 7.25" H (7.6 cm x 18.4 cm); 8.7" H (22.1 cm) on included custom stand. Condition: Light deposits on surface. Excellent preservation of form.